Steiner 5007: Steiner's Riflescopes offer a wide variety of reticles perfectly suited to your hunting, competitive, or tactical shooting adventures. From clean, simple designs for fast-actiontarget shooting, to detailed, precision reticles for longrange shooting. The precisoin adjustment system pinpoints accuracy which is easily achieved with Steiner windage and elevation adjustment systems. Each scope tube is milled from solid, high-grade aluminum stock for greater strength and durability along with a variety of lens coatings for add strength, protection, and clarity and are fully shockproof and can withstand up to 900 Gs of impact. The GS3 "game sensing" scope utilizes exclusive CAT (color adjusted transmission) lens coatings to amplify contrast in the peak human vision sensitivity range. The 5x zoom range lets hunters from eastern whitetail country to western big game ranges pair their new scope with their favorite centerfire, rimfire or muzzleloader rifle. Waterproof/Fogproof durable construction can stand up to any cold or wet condition. 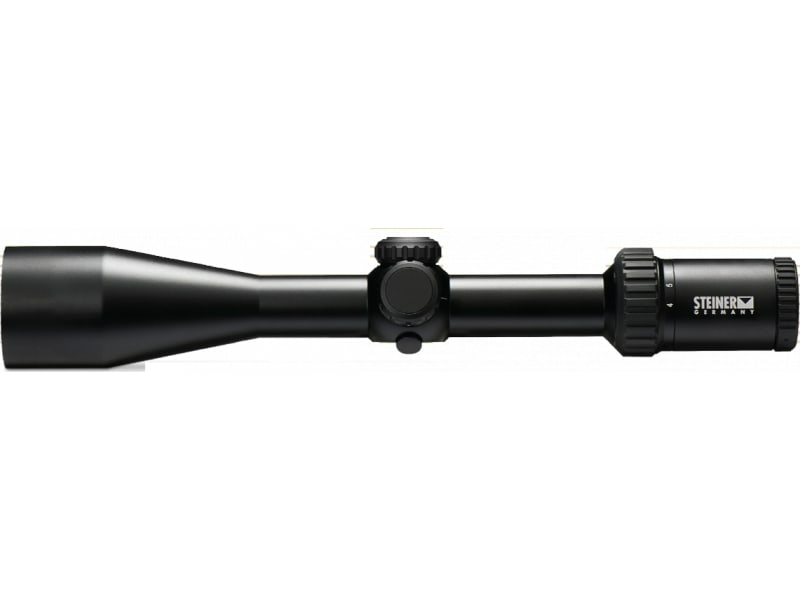 This 4-20x50mm model features a Steiner Plex S7 reticle which help determine holdover for distance and cascading dots/lines compensate for wind. It also has a 30mm tube.